Broadcasters are girding for a knock-down drag-out fight over a parade of horribles that might be added to the reauthorization of a little-known cable law commonly known as "Stela." The add-ons currently being negotiated between House GOP members on the commerce committee could change the rules of retransmission consent negotiations and result in broadcasters being knocked off basic cable tiers. Stela—the Satellite Television Extension and Localism Act—allows satellite operators Dish and DirecTV to carry network affiliate stations from outside subscribers' markets when subscribers in the market can't pick up the local signals over-the-air. The law also grants the Federal Communications Commission authority to make sure that retransmission consent deals are negotiated in good faith. For retrans reform advocates, Stela presented the perfect opportunity to change the law. One provision being bandied about would allow cable and satellite services systems to treat broadcast stations like any other cable channel and place them in any tier the cable company wants. Broadcasters would have to negotiate placement in the basic tier, which would change the dynamic of retransmission consent. Another provision would prohibit two stations with some sales and programming functions from coordinating retransmission negotiations. If the add-ons make it into the bill, which could be drafted and proposed as early as Monday, it will represent a stunning policy reversal for Rep. Greg Walden (R-Ore.), a former broadcaster and chairman of the subcommittee on communications and technology, which is holding a hearing on Stela next Wednesday. As recently as December, Walden consistently held that he favored a clean reauthorization of Stela, which is due to expire at the end of this year. He had always maintained that issues such as retransmission consent were more appropriately addressed in a rewrite of the communications act. But apparently, political forces led by Rep. Steve Scalise (R-La.) behind the scenes are pulling Walden in a different direction. Once broadcasters, in town already for the National Association of Broadcasters annual government confab, got wind of the discussions, they started storming the legislative gates. "NAB will strenuously oppose this bill," said Dennis Wharton, evp of the National Association of Broadcasters. "Broadcasters from all over the country are asking us how a Stela bill that was supposed to be 'clean' turned into a boondoggle for big cable." 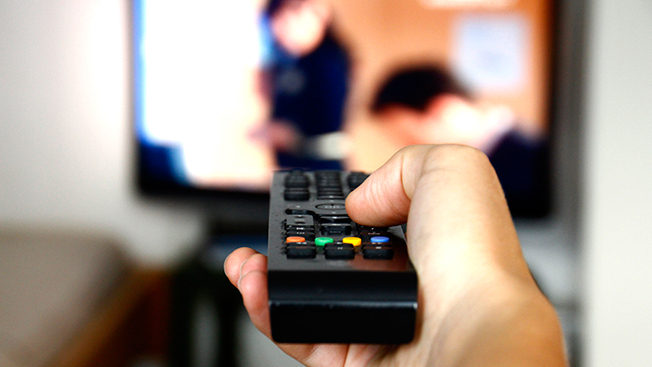 In expressing "outrage" over the possible add-ons, TVFreedom.org, a coalition of local broadcasters and network TV affiliate associations, played the emergency card. "Forcing the most popular stations off this basic lifeline cable tier could deprive customers of local news, emergency information, and severe weather warnings that are only provided by broadcasters," said spokesperson Robert Kenny. "Only in Washington would the word 'reform' be associated with a proposal that would restrict consumer access to vital local TV channels and result in more price gouging by pay-TV providers." Small independent stations have the most lose because they lack the programming clout of the big network affiliates. Upon hearing that the must-carry provision could go away, 170 stations formed the Voices for TV Choices coalition. About 60 of the coalition are Ion stations. "'Homeland' and 'House of Cards' may be the programs that make national news, but the membership of Voices for TV Choices is evidence that there is also a large audience for an array of targeted and local programming, including a multiplicity of children's educational programming; religious and Christian youth programming; Vietnamese, Armenian, Korean, Japanese and Cambodian programming; local news and sports; Latino, Spanish-language and African-American religious and general interest programming; movie and lifestyle channels, and more," said Gary Cocola, chairman and CEO of Cocola Broadcasting. No one on the committee would confirm the Stela add-ons. As of Friday, nothing had been finalized. GOP members shouldn't have been surprised by the backlash, but they were. The are slated to meet Monday.